Happy Friday Friends! It's the last one before CHRISTMAS! 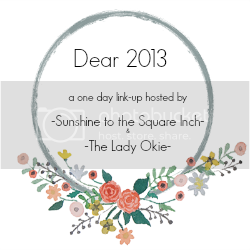 Today I'm announcing a link-up hosted by myself and The Lady Okie. 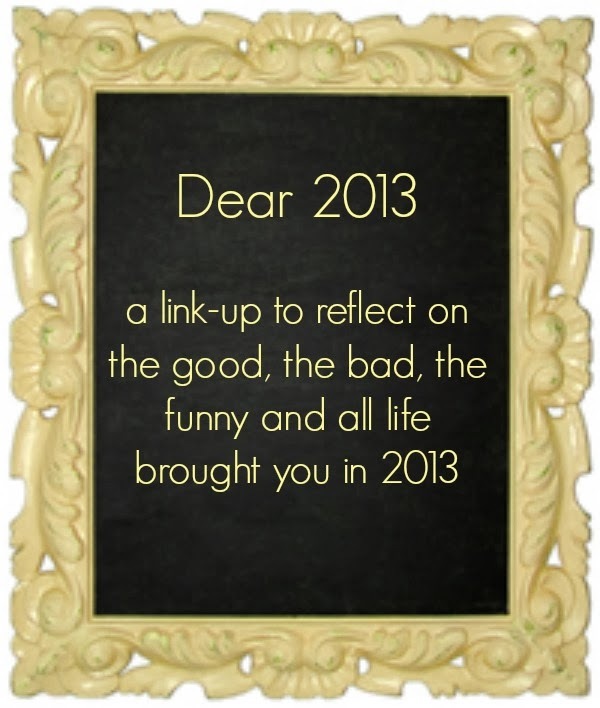 Now that 2013 is behind us (almost) we are writing a letter to 2013 reflecting on all the good, bad, ugly and funny life events. I'll be writing my reflections in a 'Dear 2013' letter form but you can use this link-up to reflect on 2013 however you choose. The link-up will go live on December 27th at midnight and will stay open through Tuesday, December 31st. I hope you will join us. 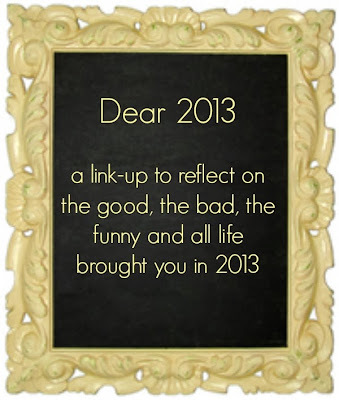 It will be a good way to reflect on 2013, to be grateful and a great way to see what everyone else has learned. I love this link up already!!! I am really going to try to do this! What a great idea ladys! Awesome! I'm looking forward to reading yours.